Pinterest is definitely one of the fastest growing social media platforms over the past few years. Ever since its conception a few years ago, Pinterest now has millions of account members and it is growing every single day. 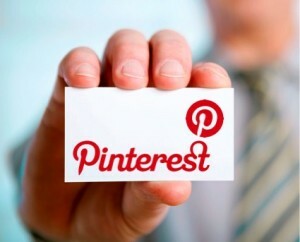 A few moments back, Pinterest actually followed the move of Facebook when it launched business accounts. Businesses were pleased that this social media outlet did such a move but a more recent development is now making a buzz among holders of business accounts. This development is the introduction of the analytics tool. This new analytics tool can be used by all business accounts for free. It is also very easy to find. You just need to click the drop-down menu option and look for the analytics tab. As soon as you click it, you will be brought to a new screen where your stats can be found. Numerous metrics and stats can be found inside the analytics page of the account. Some of the most important information found in the page is the number of pins that people do from your official website and the number of people who did the pinning, the number of instances that your pins were repinned in the Pinterest website, and the number of people who actually went to your website through clicking a pin from Pinterest. This is a huge advantage for both small and large businesses since all of these metrics are now available for free. In the past, there were third party applications which can provide these metrics but with a charge. Since the metrics show which posts get pinned and which pins get people to visit your official website, these metrics and analytics can actually be very useful in terms of creating ads for internet marketing. You can focus more on making content that sparks the interest of your target niche so that you won’t spend time, energy, and money on content that do not deliver results. Aside from knowing how many repinning you got and which posts got that most pins, this tool also tells you which day and time these increases in pinning occurs. This can help businesses schedule their posts around the time when their target consumers are most active during the week. There will no longer be guesswork when creating and posting fresh content for your website since you have the analytics to back up your future actions.